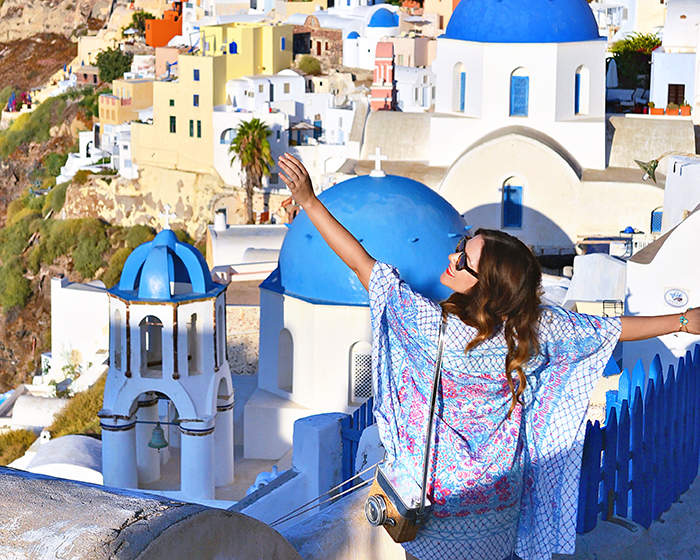 When it comes to tropical or Mediterranean travel, there is nothing better than a stylish and comfortable caftan. I snagged this Lilly Pulitzer caftan during the After Party Sale in August (thank goodness I was home for that!). Not only was it a steal, but I also knew it would be perfect for my travels to Santorini and Ischia (sadly my plans for Croatia fell through, but the islands of Ischia and Procida proved to be a wonderful substitute). 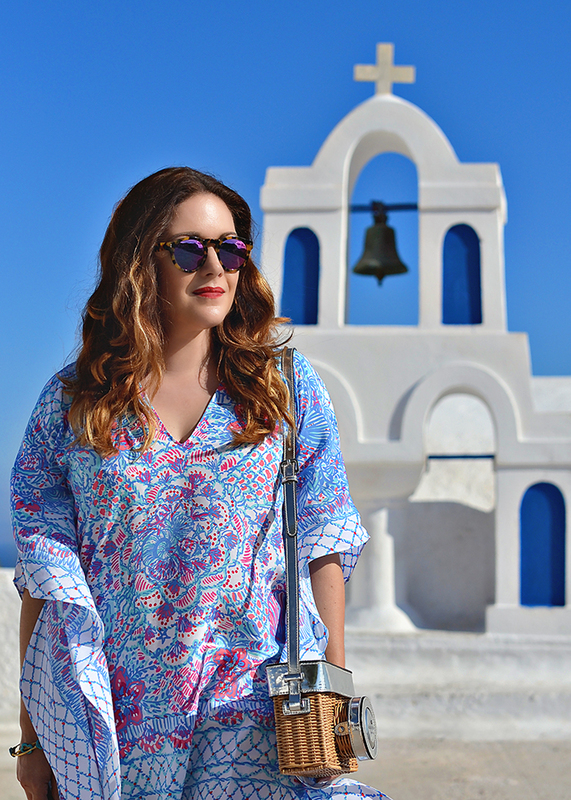 What I love most about a great caftan when travelling is how versatile it is. It can be worn as a tunic, cover-up, or dressed up for dinner or an evening out. Yet, it is still comfy, flowy, and easy to wear in warm climates. Basically it is effortless chic. 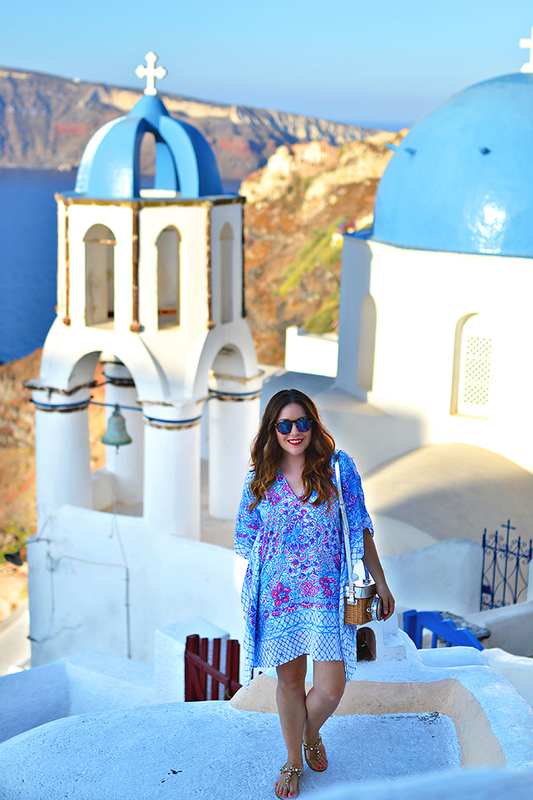 Not only was I super comfortable exploring Santorini in my caftan (although I am sure it was a funny site on my four-wheeler), I also loved the way the pink and blue design went with the overall aesthetic of the island. 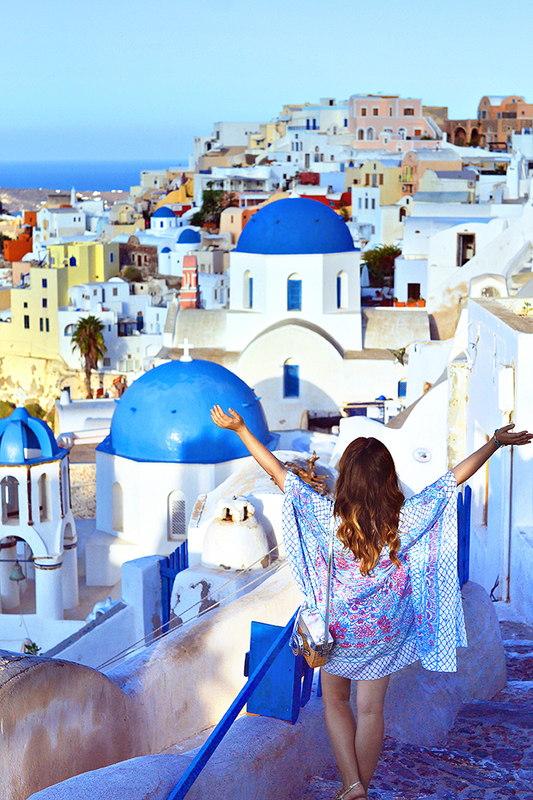 Santorini is basically a sea of blue and white with the occasional splash of pink. 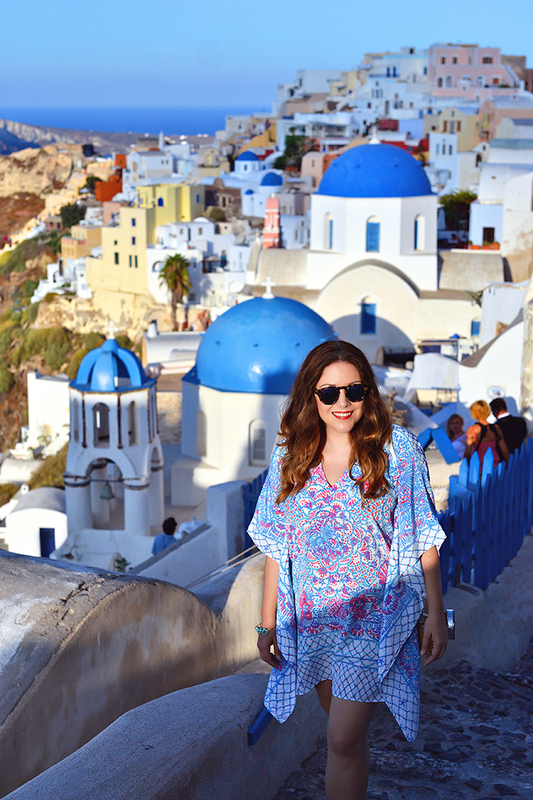 I wore it on my second day on the island to explore the cities of Oia and Fira. 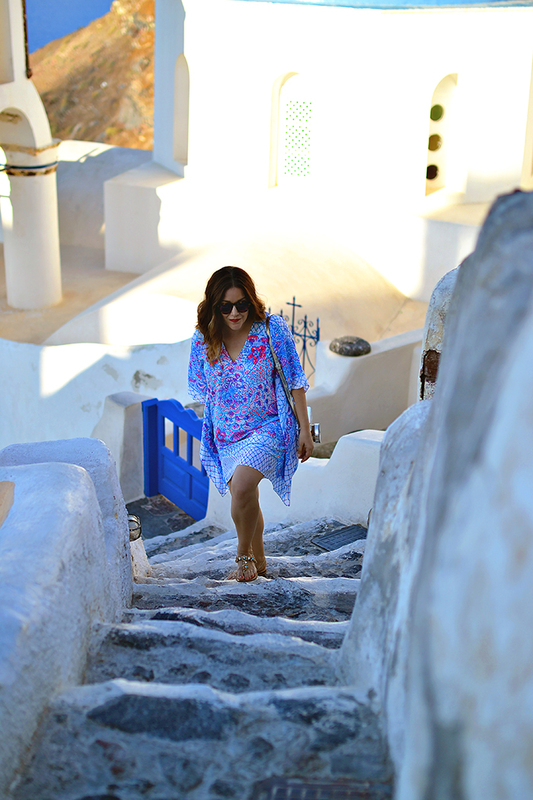 You definitely want to be comfortable when exploring Santorini because there are a ton of stairs and lots of little alleyways to be investigated. Don’t worry; if you missed snagging this Lilly caftan, there are some new versions in stock. I have also linked some more great caftan options below. What is your go-to piece for warm weather travel?